Is A Sub-Ohm Clearomizer Tank The Best Option? 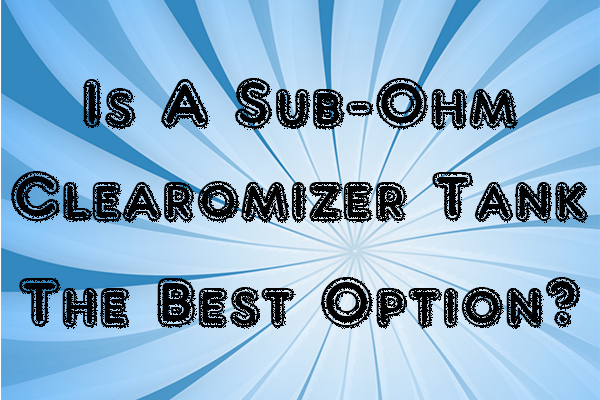 With the whole “sub-ohm” boom taking over the industry, many vapers are beginning to ponder if a sub-ohm clearomizer tank is the best option. The truth is, no one can answer that for you, and only you can decide if a certain product is most satisfying for your personal tastes. However, we can give advice and make recommendations on products we enjoy, and the sub-ohm tank just so happens to be a product that we enjoy and recommend if you’re looking for more of a bump in flavor, vapor and overall vaping performance. 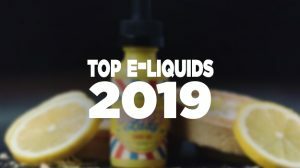 In this article, we’ll go over the reasons why we believe sub-ohm clearomizer tanks are the wave of the future, as well as the benefits as to why vaping consumers have taken a strong liking to them. Only a few year’s back, those who used rebuildable atomizers were looked at as the “elite” vapers within the industry, a select few picked throughout the world that went beyond the norm and yearned for better performance. These vapers gave hype to those atomizers, claiming increased vapor, flavor and overall performance, so many consumers started to switch, while there were others at a stand-still because of the confusion and technicality of the actual act of rebuilding coils. It took more research, more knowledge, and there were many that enjoyed the simplicity and ease of a clearomizer. And then, manufacturers began manufacturing clearomizers with large airflow and pre-built coils that offered sub-ohm resistance, while still containing a housing for easy replacement. 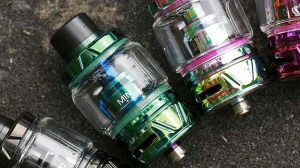 Now that sub-ohm clearomizer tanks are being offered with the same simplicity and ease as standard clearomizers, users are able to reek the same benefits that those once “elite” vapers raved about. 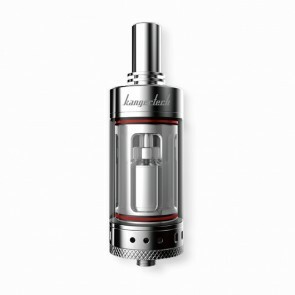 Flavor: When using a sub-ohm clearomizer tank, you can expect to see a large flavor increase. 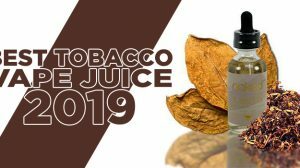 In fact, once you begin using a sub-ohm clearomizer, then switch back to a standard clearomizer, you’ll notice very easily how much the flavor is missing from your current setup. It’s truly amazing to taste the difference and it’ll certainly shine light back into your world of vaping. Vapor: If you’re on the hunt for clouds, a sub-ohm clearomzier tank will definitely help you get there. Being that you’ll be in at a much lower resistance, sub-ohm, you’ll be able to produce a substanial amount of vapor with ease, as well as being able to increase the amount of watts you apply to the clearomizer tank. Some aren’t looking for a larger vapor production, so simply reducing the airflow will decrease the vapor production. Performance: Place all of the features of a sub-ohm clearomizer tank together and you’ll get a solid overall performance all around the board. With the combination of coils that are sub-ohm, increased airflow, wide-bore drip tips and often a larger tank capacity, you’re getting the best performing clearomizer on the vaping market. High VG: Most sub-ohm clearomizer tanks are best suited for high VG (Vegetable Glycerin) e-liquids. Standard clearomizers do not wick well with thicker e-liquids, so it’s hard to use high VG with a standard clearomizer and produce big clouds. 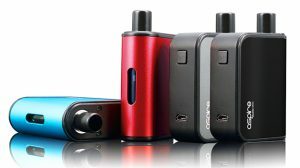 That said, by using a sub-ohm clearomizer in conjunction with a high VG e-liquid, you’ll have the ability to produce very large clouds. However, by using a tad bit lower VG mix, such as 60% VG, you’re able to decrease the vapor product by a bit. Optional Rebuilding: Some sub-ohm clearomizer tanks come with optional rebuilding decks that you screw on just like a replacement coil. With this option, you now have the ability to rebuild coils yourself as if you were using a rebuildable tank atomizer or use the sub-ohm clearomizer as a regular sub-ohm tank. 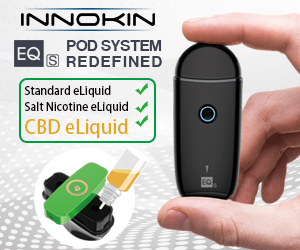 The option to rebuild has definitely changed the world of vaping as well know and has become one of the great innovations in the industry yet. It ultimately comes down to what satisfies you the most. Yes, all the above is increased with a sub-ohm clearomzier tank, but that doesn’t neccisarily mean you have to switch to one. If you’re comfortable with how your clearomizer performs now, it’s fine if you continue using it just how you are… however, chances are with you reading this article, you’re at least interested in sub-ohm clearomizer tanks. My guess is, if you’re interested in these tanks, then you’re not completely content with what you’re using at the moment. Do not be afraid to venture out of the box, do let your curiosity get the best of you, and stop pondering what is best and just give it a try. With how cheap these tanks have become, it’s a sore not to at least try it and gain the experience. As an example, when rebuildable atomizers first came out, it took me longer than some to actually try it for myself… I wasn’t open to the new experience and I thought I was content with standard clearomziers. But, in order to continue to help others on that side of the spectrum, I purchase a rebuildable dripping atomizer, learned all that I could about them, then fell absolutely in love with the benefits they offer. That taught me to never limit my self to the potential experiences I could gain. You can apply this to sub-ohm clearomizer tanks, rebuildable atomizers, mods and especially e-liquid. Whatever path you choose, I wish you the best and I only hope your experience goes as well as mine has been. Sub ohm compared to other tanks is hands down better. Huge vapor production and the coils last a long time. I currently have 2 setups which both work well aspire sub ohm battery with the atlantis 2 & the eleaf 30w with sub ohm melo. both coils are .5 ohms. What Is The Best RDA For Cloud Chasing?